Since the forest is very wet and it is difficult to get to the roe deer camera to change batteries we stop the transmission from the roe deer camera. 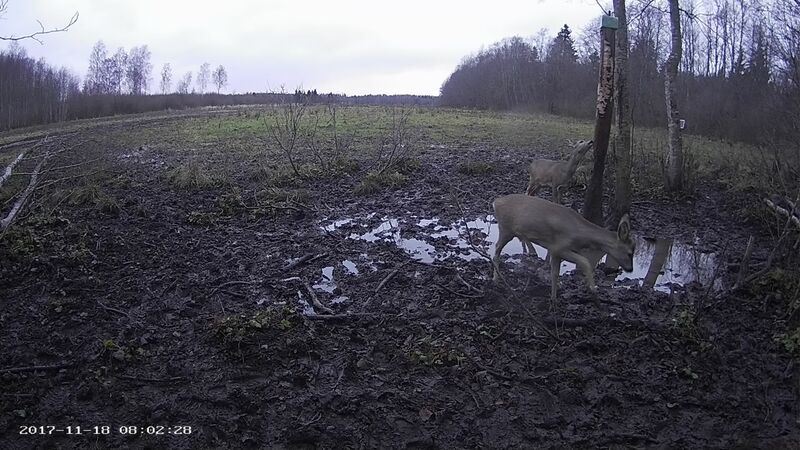 Some time in January – true, the roe deer will no longer be Animal of the Year then – we will try to start the camera again, if the sun comes out and feeds the batteries or the forest dries up and batteries can be changed with less trouble. So, in other words, the plan is to go on with the deer camera for a couple of months in 2018 too. Hoping that there will be snow and that the ground dries properly. With colder weather and the start of the growth of new antlers the deer have more cause to go to the salt lick. We will keep you updated about the plans. Utntil then the camera of the new Animal of the Year will be placed at Elistvere and it will be running from early January.